We all love embroidery designs, don’t we? The fact that embroidered designs can be sewn out on a range of products makes the concept even more exciting. But have you ever thought about how is it made possible? 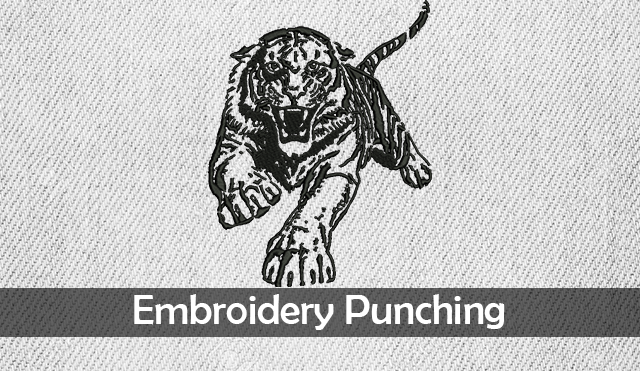 The answer is embroidery punching, also called embroidery digitizing, is the technique which makes it possible to convert any design into an embroidered design. The whopping pace at which embroidered designs are sewn out today is owed to the advancements in modern machine embroidery. Digitizing is an integral part of the modern day process. In fact, without it, the mere existence of modern production process would have been a far cry. It is the process of creating computer embroidery files that convert an artwork into an embroidery design. The machine obviously can’t determine how to replicate a graphic design in the form of stitches. It is the computer created file, often created by a professional embroidery punching service, that ‘dictates’ the machine on how to stitch a design. The files, known as stitch files, are created by a professional, who manually inputs stitch details, like stitch type, stitch length, underlay specifications and various other details that enable the machine to embroider any design. Once a stitch file is created for a particular design, it can then be used to embroider over as many products as one wants with a few minor changes in settings. As we have mentioned before, it is an integral and an unavoidable aspect of modern processes. The speed with which we are able to process orders today is, in one way or another, a direct consequence of digitizing. No matter how quick machines are, they still need the input details to process orders. The computer stitch file is the ‘brain’ to the machine which enables it to embroider at a very quick pace. Speed at the commercial level is an imperative requisite. Embroidery today is no more a distant art. Its enhanced reach and recent inclusion to high-end machine embroidery fashion scene can be clearly attributed to the flexibility with speed that it has to offer. This, would not have been possible if digitizing would not have been there. Embroidery, like many other contemporary art forms, would have also been obsolete by now. 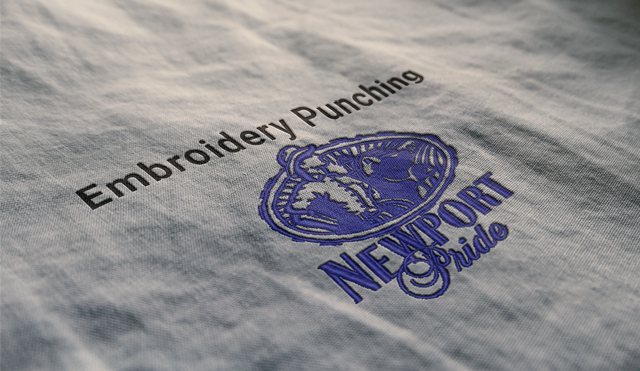 Computerized embroidery punching also offers a high level of precision and accuracy. If a design is carefully and professionally digitized, there are minimal chances of design getting damaged during the production process. Despite the fact that designs are embroidered at a very high speed, the skill that goes in digitizing the files ensures that sew-outs look great. It is due to today’s digitized files, that along with the high stitch speed required for commercial purposes, the process still renders designs parallel in quality to cautiously crafted hand-stitched designs. Another exciting prospect it has to offer is the number of products it enables one to embroider on. With a professional digitizing service, one can conveniently reciprocate designs of varying complexity on a number of different types of products. Clothing products like T-shirts, hoodies, and caps are obviously the most common embroidered products we see around today. The great thing about embroidery is not limited to these products only. With making the appropriate adjustments while creating the digitized file, designs can be conveniently embroidered over a range of fabric types. Some of these include denims, towels, jackets, knits and even on shoes. The list is extensive and it does not only include clothing items. Designs can also be embroidered on mats, rugs, cushions, and curtains. How to do embroidery digitizing? It requires a computer program or software on which an art is converted into a stitch file. Though the job is mostly done by professionals, the skills can be acquired by adequate practice and right guidance. But isn’t it same with every skill? Yes, it is and so, if you are interested in creating digitized files yourself, you can take a start with any digitizing software. There are quite a few of them available. Choose an embroidery digitizing software by comparing different features, and deciding the one that best suits your needs. Take a start with any software. All of them have slightly different interfaces that perform more or less similar functions. Get yourself familiar with various features before you can actually start practicing. Obviously, you can’t expect to become an expert overnight. It will take at least months of practice before you can start creating digitized files that can be used commercially. As you would have realized by now, that creating a perfect digital design is not everybody’s piece of cake. Not only it requires a specialized software, which is often pretty expensive, but also an expert who knows the required skills in and out. Developing these skills require a lot of time, effort, and patience. Not everybody can afford to give so much for acquiring a skill. Especially, when you can conveniently outsource it inexpensively. We have made it absolutely convenient for you to place and manage your orders remotely. Now, you don’t have to learn the required skills yourself or hire a full-time employee for the purpose. For only $1/ 1000 stitches, Absolute Digitizing renders an amazingly professional embroidery punching service job in just one day. At such great cost and turnaround time, you will be receiving an assistance that surpasses many other services not only in terms of quality but also in consistent customer support. With our free iOS mobile app as well as an Android app you can instantly place your orders and get free quotes from the palm of your hand. Download our mobile app and let’s get rolling.